He that governs must be just, ruling in the fear of GOD. 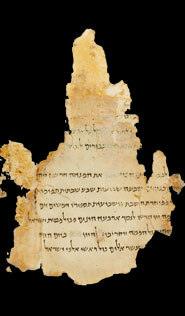 .The Temple Scroll, columns 19-21. 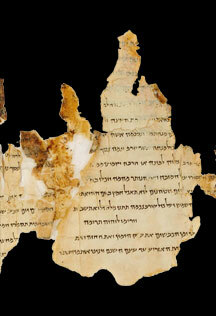 Qumran, 1st century BCE – 1st century CE.Parchment. H. 32 cm; 58 cm (with frame). government, nations, become weak and troubled. that refuse to protect the unborn from torturous pain and death? Those individuals that serve to sap the life out of a nation; that provoke the Wrath of GOD. many people are unaware of the importance of choosing with morally righteous issues in mind. Yet, they bitterly, loudly complain when their nation becomes seriously in trouble; and seek to find blame in others. How can people be so heartlessly ignorant and unaware of the Perpetual Workings of GOD? and awake to the importance and reality of individual moral responsibility and response. with the original, unchanged, Greek text of the Holy Bible, readily available. clamored for in such loud and demanding impatience. that result from the gross misunderstanding and lack of the performance of righteousness by so many. he that believes in Me, though he were dead, yet shall he live..."
Greetings to all, for a Joyous, Hopeful Holiday Season. For the Earth shall be filled with the Knowledge of the Glory of The LORD, as the waters cover the sea..
Psalms 146:10 The LORD shall Reign for ever, even Your GOD, O Zion, to all generations. Arrivals < < < Museum of Art - Fort Lauderdale, Fl. Special Holiday Edition: - Prayer Across America" | "Special Thanksgiving Edition: - Prayer Across America"
"Harvest" | "Holy Land Pictures"- Photos from the Middle East..
"A THANKSGIVING SERMON" / "Thanksgiving Selections"
Recipes For A "Meatfree" Thanksgiving - "Let's Talk Turkey" & "HEALTHILY SURVIVING THE COLD AND FLU SEASON"
... Come you, and let us walk in the Light of The LORD.
" Dec. 12, 2006 "Prayer Across America" (c) Copyright 2006-2010 by Gerry M. Kaye. All rights reserved.